There is something so -udderly- wonderful about household guides of the 19th century. And what is even more wonderful is that they are all out of copyright and readily available to peruse on Google Books. I first learned of Cassel's Household Guide while watching "Victorian Farm," an excellent UK show that followed a historian and two archaeologist as they lived the life of Victorian farmers for a full calendar year. 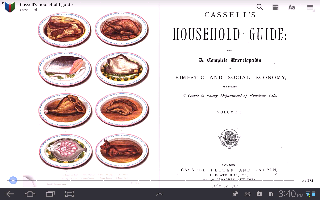 Cassell's was their go-to guide for all manner of things - cooking, cleaning, Christmas decorating, and also raising chickens, milking cows, right down to what mix of grasses to plant in the hay field, and when to harvest it. The cool thing about Cassell's Household Guide is that it really is a window into the past. 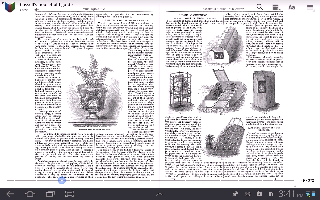 Published in 1869 (at least the version I am reading), the book provides a crazy mix of information, everything from how to make paper flowers, to the various breeds of dog and what to feed them, to quite an in-depth look at creating and maintaining your own aquarium. The one thing that is missing is dressmaking, unless you're making clothing for your children, then the reference is in no short supply. An interesting thing about Cassell's is that it jumps around. The information is split up throughout the book, so on one page you're reading about plum puddings, and on the next how to set a broken arm. A few pages later, you're back to plum puddings, but you'll have covered the rules of bathing, basic skin care, and how to build a barn door in between. 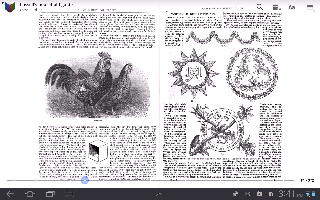 I highly recommend downloading and looking through Cassell's - remember, it's free on Google Books! - and also check out any of the other 19th century beauty guides, domestic service manuals, and recipe books. I'll make sure to look for this. I picked up a book at a used book sale...Dr. Chase's Recipes: or Information for everybody: an invaluable collection of about eight hundred Practical Recipes....etc. the title goes on a bit, 1874 full of fascinating recipes from cures to food. I love Cassell's! Look up Mrs Beeton's, too. I think the whole book is available on Mrsbeetons.com. Very similar to Cassell's.